Search Buy, Sell and Rent Best Residential Properties in Satara by Real Property owners, Dealers, Builders and Agents. bungalow for sale in satara, Property for sale in Satara Pune | Commercial Real Estate in Satara district, 1 bhk 2 bhk Flats, Bungalow, Row House, Shops, Office, Godowns, Basements, na open plots, Investment. Find property in Satara within your budget on gruhkhoj.com, Real Estate Portal. 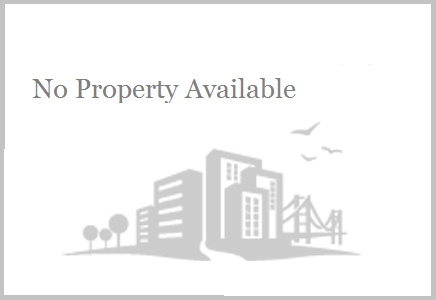 Get complete details on property specifications and it related amenities. Satara is located in the western part of Maharashtra. Satara district is bounded by Pune district to the north, Solapur district to the east, Sangli district to the south and Ratnagiri district to the west. Raigad district lies to its north-west. Satara District has an area of 10,480 kmsq, and a population of 2,796,906. The Sahyadri range, separates the district from city on the west side. The black rock Mahadeo range starts about 10 m north of Mahabaleshwar and stretches east and south-east across the whole of the district The main rivers of Satara district are Koyna and Krishna. The Krishna is one of the three largest sacred rivers of southern India. Approximately 172 km of the river course falls inside the district. The Krishna river begins on the eastern brow of the Mahabaleshwar plateau and the source is about 4500 ft. above sea level. Description :- Get details of all Residential Commercial property for Sale in Satara. Latest Satara property rates 2019 year & listings of multistorey apartments office Space, showrooms, Commercial shops for sale in Satara city. Best Price Residential 1, 2, 3 BHK Flats, Row Bungalows, Penthouse, Row House in Satara city. RERA Projects in Satara : Find Maha RERA approved projects for sale in Satara district. Commercial Property, Konkan Properties - Non Agriculture Lands and Clear Title N A Plots, Open Plots in Satara, Holiday Resorts, Farm House Second Homes - Weekend Homes in Satara. Search New upcoming residential projects in Satara real estate market, Vastu /gruha parkalp, housing schemes within your budget at Gruhkhoj.com. It is a base and medium for prospective buyers across the globe who wishes to search, Find Property, Commercial Space, Dukan Gala, big showrooms, multi-story apartment buildings, ownership flats, township projects, Luxurious Villas- row bungalows / independent houses for sale in Satara India. Fully Furnished, Semi Furnished 1 HK,1rk to 4 BHK flats in Satara, low budget 2 bhk flats in Pune / 3 BHK Penthouse in Pune. Best Deals starts from Rs. 15 - 30 Lakhs onwards for flats.Search details of Builders expo / Credai Property Exhibition in Satara - all Prices Trends and Property News in Satara. Buy 2 BHK Ready to Move in multistorey apartments in Satara from ? Verified listings ? Real photos ? Maps & much more on Gruhkhoj. Find Triple Bedroom / 3 BHK flats in Satara within best area and prime locations nearby School, Colleges, Hospitals, Market, Shopping Mall. Villa/Independent House in Satara city with parking, gate, garden etc.